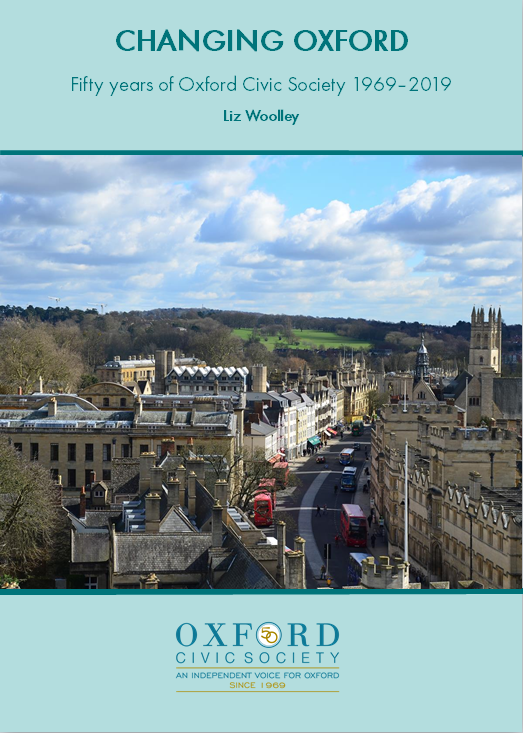 Changing Oxford: Fifty years of Oxford Civic Society 1969 – 2019 by local historian Liz Woolley is her assessment of our achievements over half a century. Her highly readable account, set against the backdrop of a changing city, shows the Society’s influence on transport strategy, local and strategic planning, street lighting, green spaces, street clutter, 20mph speed limits on residential streets, litter, street parties …a long and impressive list. We can proudly claim to have changed the way planners and people think about some key issues in Oxford and beyond. The report has 62 pages and is fully illustrated. You can download it freely here.